Hooray for summer! Although the official 1st day of summer doesn't arrive until next week, the temperatures are up there and school is just about over! More than ever I want to be outside working out. Running. Biking. Strength Training. Stretching. Resting. One of my main goals is to strengthen my legs and core. And I don't have to be inside for this. I can be outside - just about anywhere - doing this. What's even better is I have a rock wall that is just about the height of a box. So I have an outdoor box jumping station too. Do you bring your workouts outside more often as the weather improves? Awesome! 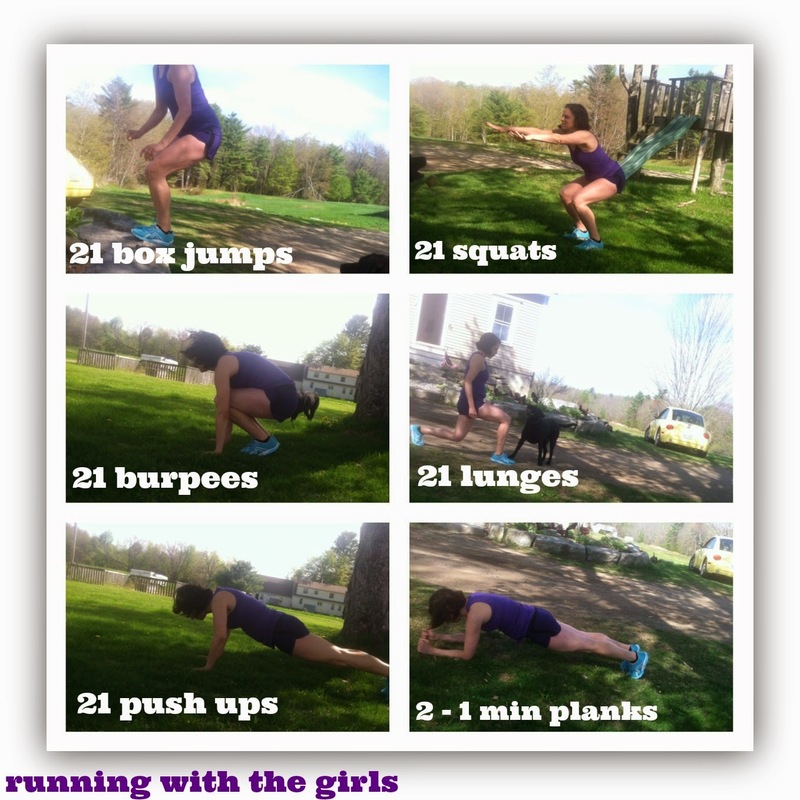 Minus the 21 burpees. Blech. Obviously I need them the most! Very clever with the 21's! I'll have to do this workout soon!